Cheryn Rochelle Smilen abandoned almost 30 cats in a small apartment without food and water. A total of 25 cats died and 3 are clinging to life. She has been arrested and charged with 18 counts of animal cruelty. Please sign this petition and share with your friends and family. 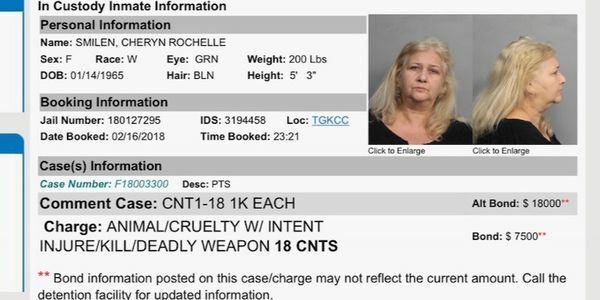 The petition will be sent to the State Attorney of Miami-Dade County, Katherine Fernandez Rundle, asking her to prosecute Cheryn Smilen to the fullest extent of the law for this atrocity.